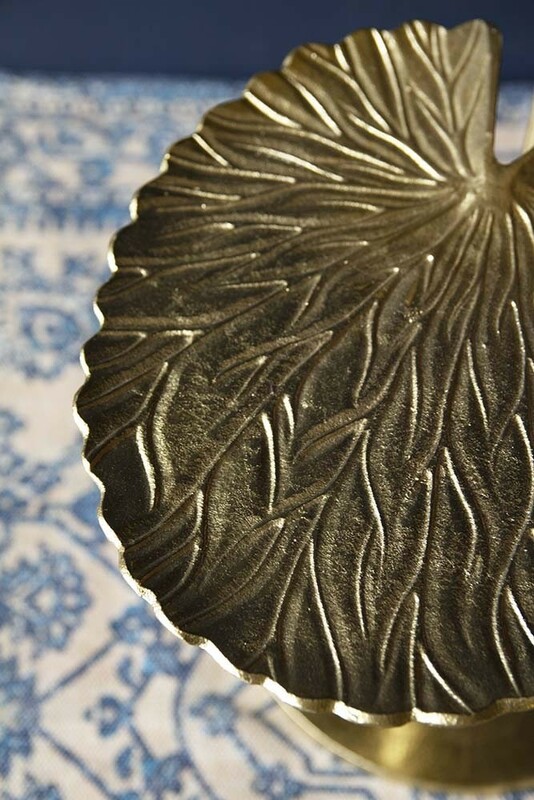 A truly unique piece the Gold Water Lily Pad Side Table will add wow-factor to your home interiors! 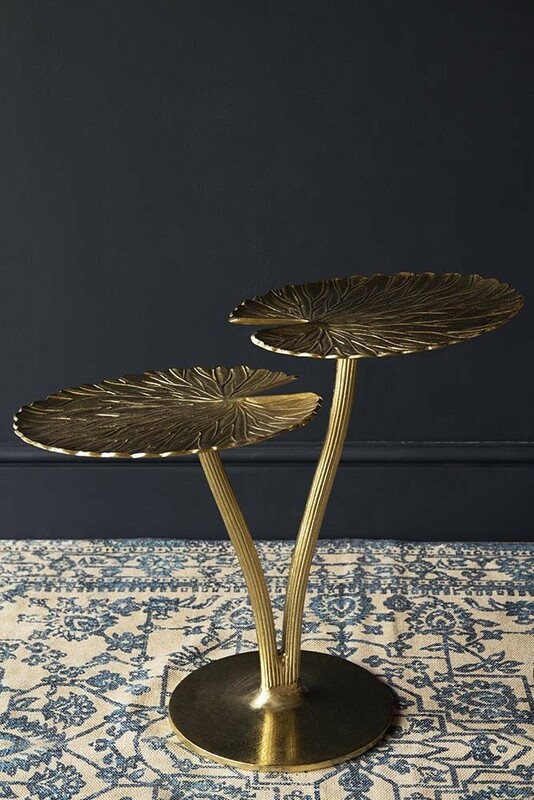 The perfect side table to accompany your statement sofa or armchair the Gold Water Lily Pad Side Table is a beautiful combination of style meets function. 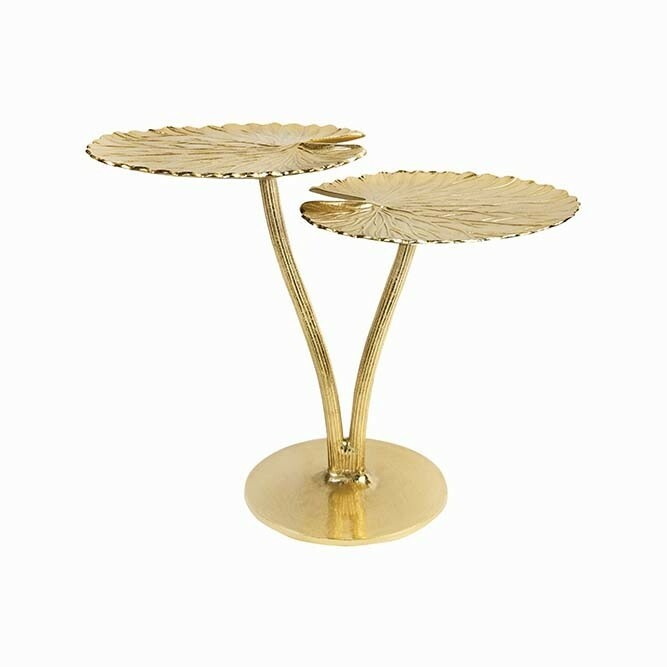 With a golden base and two Lily stems and pads, the Gold Water Lily Pad Side Table can hold your accessories, display pieces, teacups and anything else that you choose on your side table in style! A display piece as well as a side table, we think that the beautiful detail and etchings on this utterly unique table are so beautiful that you needn’t style anything on it at all for it to stand out! Perfect for your living room, hallways, home office and bedrooms the Gold Water Lily Pad Side Table will add glamour, sophistication and unique wonder to your home.